We have some exciting news to share with you! Our online OSHAcademy certificates now have a new look and some added security features. We have some exciting news to share with you! Starting August 1st, 2018, our online OSHAcademy certificates now have a new look and some added security features. 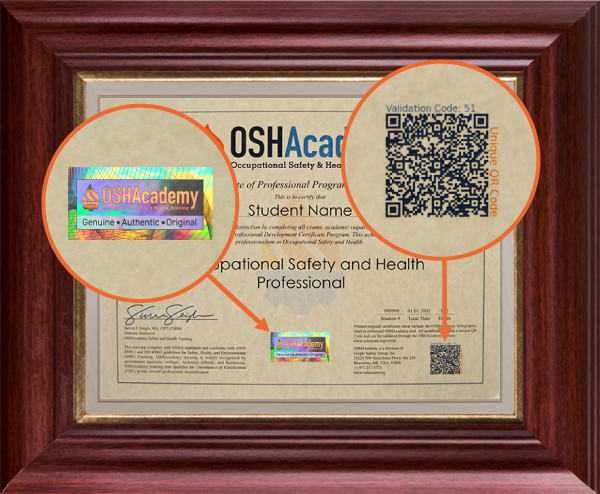 OSHAcademy original program certificates feature an internationally-registered, tamper-resistant hologram designed to ensure the authenticity of the certificate. View Web Version to see Hologram in action! 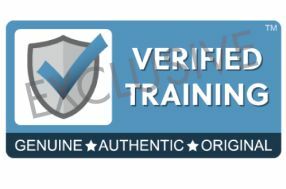 OSHAcademy's new and exclusive verified training badge may only be displayed on certificates issued by OSHAcademy. Our verified training badge is an OSHAcademy trademark and has been submitted to the United States Patent and Trademark Office (USPTO). Our improved QR code is now larger and easier to scan. 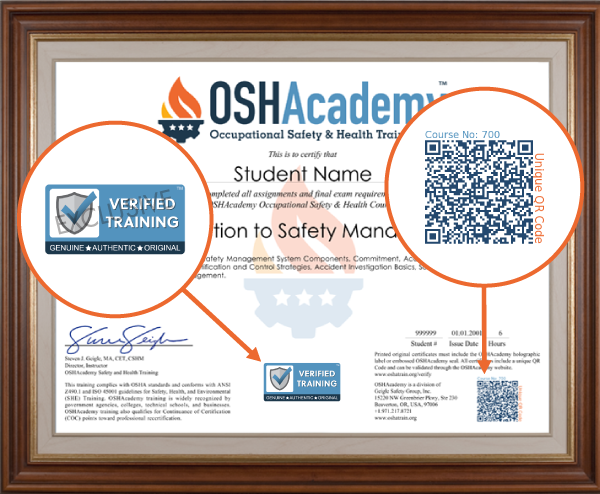 Every OSHAcademy certificate has a unique QR code, which can be used to verify the authenticity of the certificate. Scan the unique QR code.